What better way to celebrate the start of spring than with a sweet treat? Ben & Jerry's is the latest company to offer up some free goodies with its annual Free Cone Day, set for Tuesday. The unofficial holiday started in 1979, and the chain gave away more than 1 million scoops last year, according to Ben & Jerry's' Free Cone Day website. A vote on the site put Chocolate Chip Cookie Dough as the most anticipated flavor, ahead of Cherry Garcia and Chocolate Fudge Brownie. Dairy Queen, Rita's Italian Ice and 7-Eleven have all ushered in the warmer weather with free or discounted goodies. 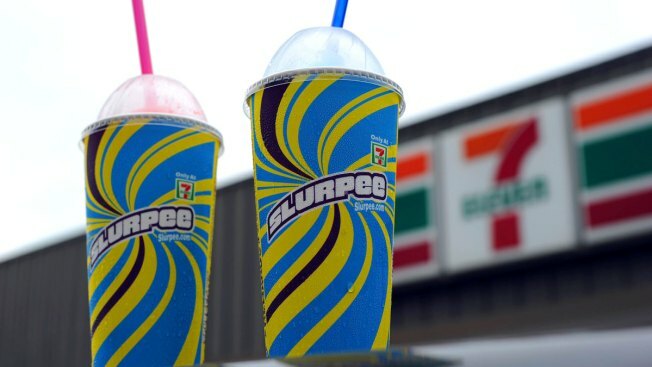 7-Eleven honored the Slurpee's 50th birthday by filling customers' cups for just $1.50 on March 18 and 19. Rita's Italian Ice marked the start of spring March 20 with its annual Italian ice giveaway, a company tradition for 24 years. Dairy Queen dished out free cones for its annual #FreeConeDay, offering free vanilla soft-serve cone. The ice cream chain was accepting donations for kids at children's hospitals in lieu of payment.